When it comes to sports sedans, BMW has always been the brand on top since the 1980s. Sure, there have been some companies to equal them on a few different fronts, but the 3-Series has been the king in terms of sales and profitability for its manufacturer for as long as I can remember. 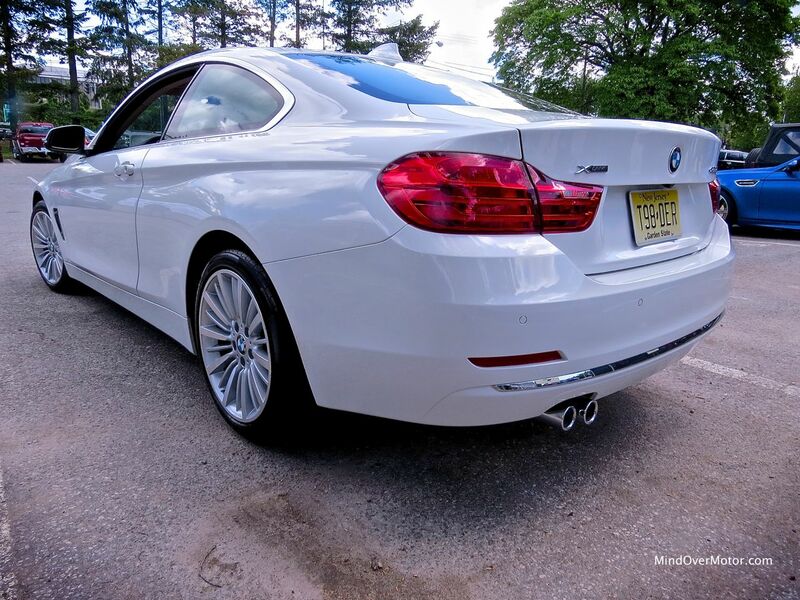 When the F30 series launched in early 2012, I was very skeptical and didn’t like the sedan I took out for a drive. In fact, I found the 328i wagon I drove a few months before that to be more fun to drive. Worse, when I was at Pebble Beach last summer, I got stuck behind a new 435i which couldn’t be bothered to go the speed limit, and thus ruined my test drive of the Rolls-Royce Wraith. At Greenwich this year, I was presented with the opportunity to allow this new model to redeem itself. I found myself standing in front of this 428i coupe with keys in hand and a jonesing to go for a drive and see if I could find something to like about the new model. Here’s what I found. For all the issues with the new 3 and 4 Series, the styling is pretty good on the coupe, and a big improvement over the sedan. The lines on the sedan look a bit stubby and uninspired, while the coupe looks more complete and filled-out on the lines. The rear looks great, with chunky taillights and handsome chrome. The front end is the same as the sedan and it’s surprisingly grown on me a bit. The side profile for the 4-Series is a bit more professional and looks better finished than that of the 3 as well, with more even lines and a better overall shape. 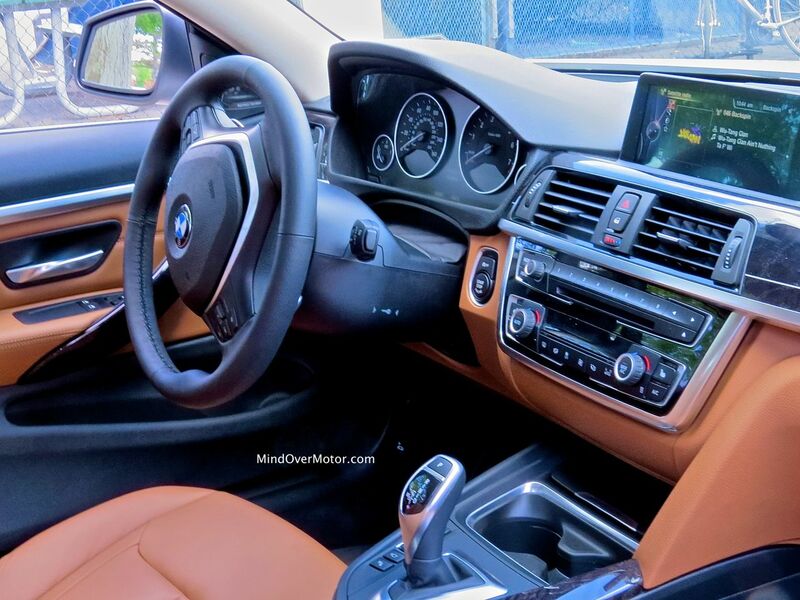 The interior is about the same as the sedan in terms of the way it looks, but this car with the Luxury Line trim looks much classier than the Modern Line finish the sedan I drove was set up with. 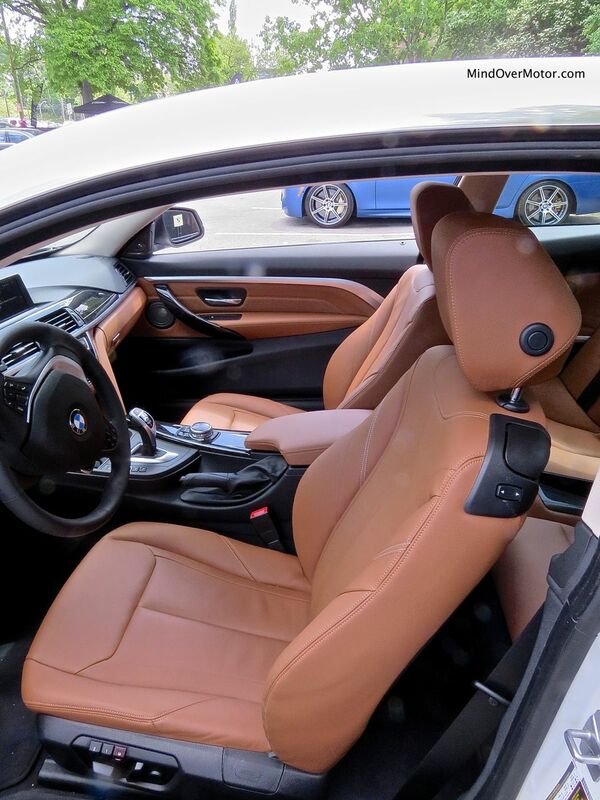 The medium tan leather seats are a great match to the Alpine White paint on the 428i and the lines on the dashboard look more upscale than the sedan model. That said, it’s not an interior look that will really set the world on fire, but nothing looks particularly ugly and everything falls into place rather well. 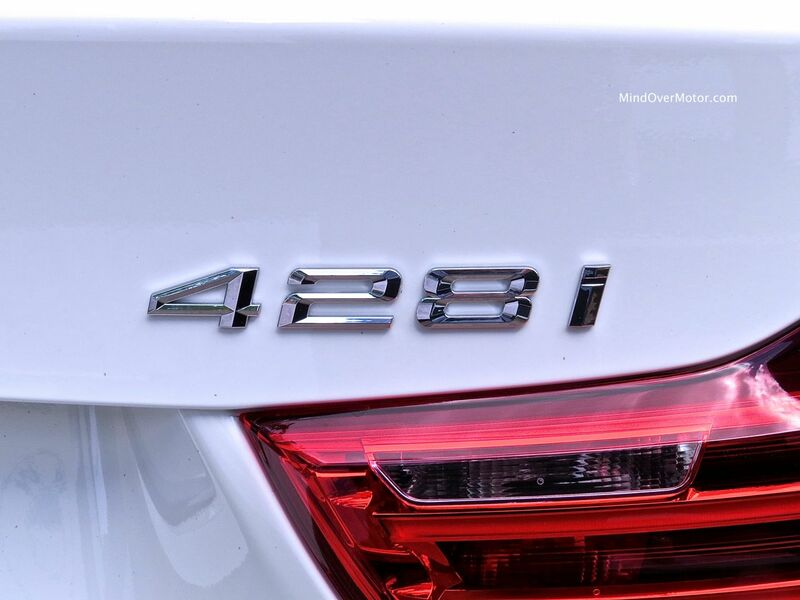 The new 428i is a car that has the right materials in the right places. The coupe appears to be built pretty well, with a satisfying “thunk” as the doors or trunk are closed and strong paint. 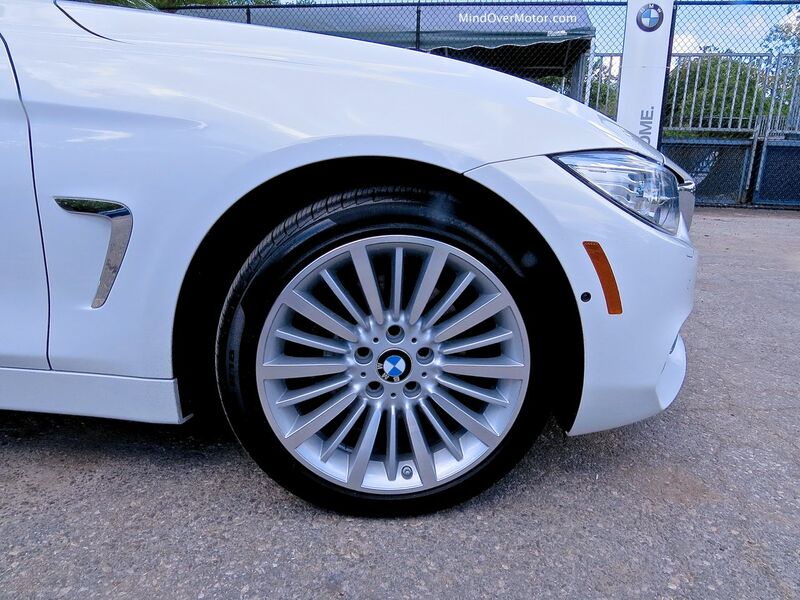 The existence of those infernal run flat tires are a cause for concern as they are rather expensive to replace, but I can live with them for now considering that no BMW comes with anything else in the form of an alternative. The interior quality is excellent. The Luxury Line comes with beautiful black ash wood trim on the center console and door panels. 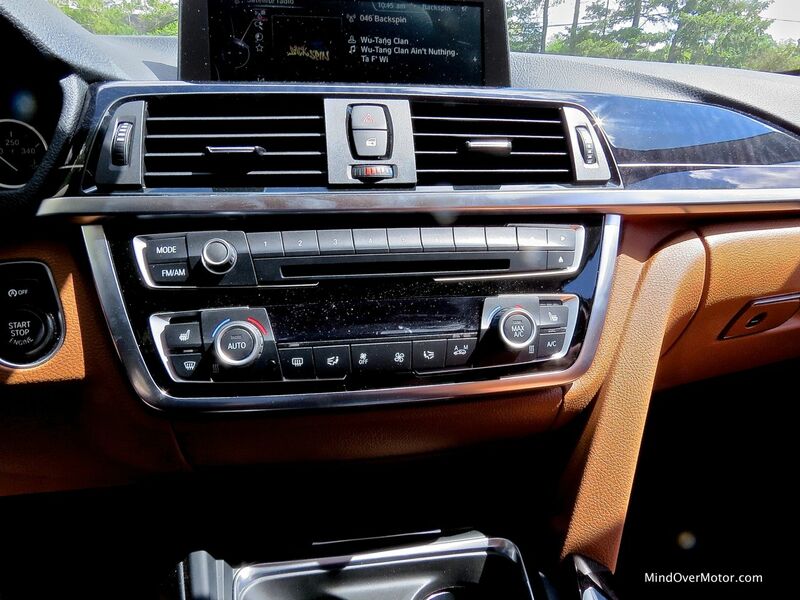 The brown leather looks rich and feels rich for a sports luxury sedan, almost too good for this car. The instrument panel looks great and is easy to read, and the HVAC controls are thankfully separate from the rest of the controls (iDrive, we meet again), and are very easy to navigate. 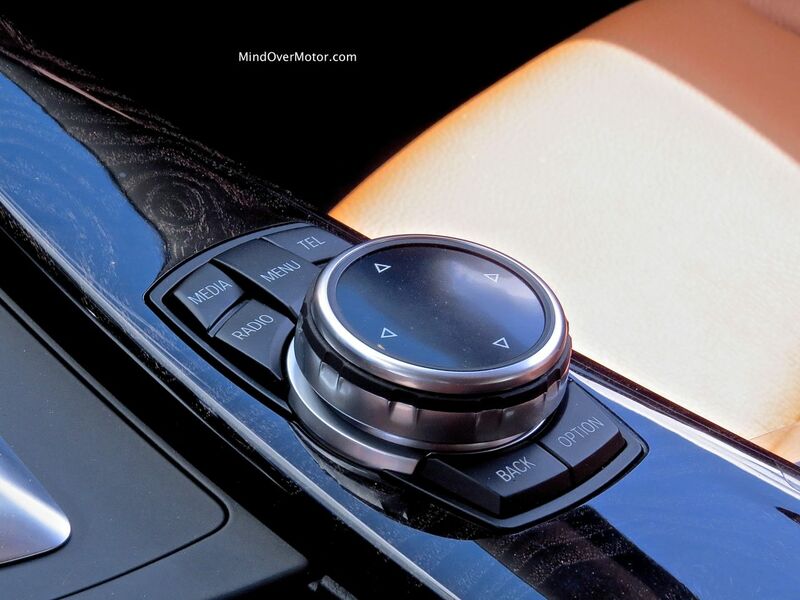 The basic radio controls for the volume and the CD player are separate from iDrive too, so those aren’t too hard to figure out either, but iDrive does make me go nuts. Even now, after driving a few BMW products with it, I still need at least five minutes to figure out the menus and interface–not a good sign for anyone who’s going to live with it every day. The 428i is fortunately a very good car to drive and never feels out of its element. The 2.0L turbocharged straight-4 packs a smooth, silky 240hp and feels more powerful than its rating suggests. At speeds up to 90MPH there’s no lag and the turbo, while noticeable in its response, is actually rather quiet. The 8-speed automatic, though, is quite a nice surprise. It responds well to input and when in manual mode is a willing little companion, especially in the Sport+ setting available. The manual shift action feels nice and even as well, even with the paddles. 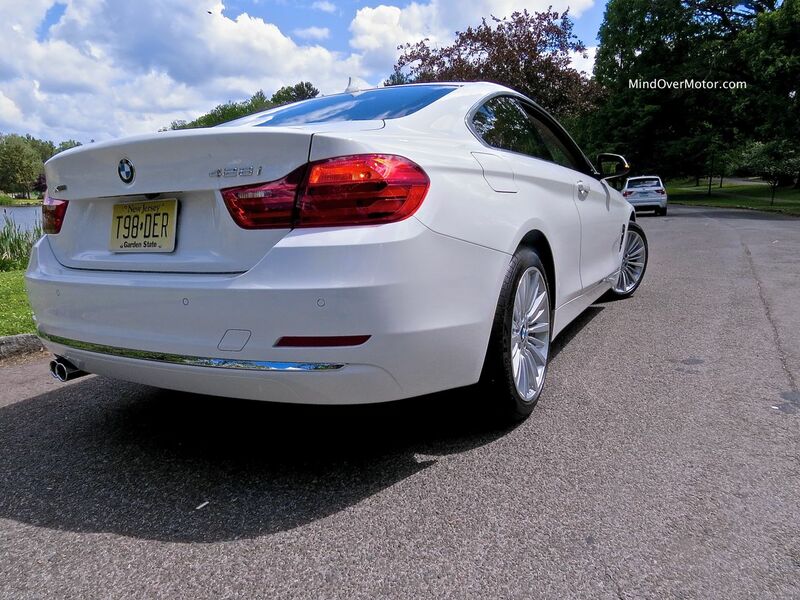 The handling on the 428i Luxury Line is very, very impressive. Despite the comfort suspension tuning and lack of sport tires on this model, the 428i still feels very strong in the corners. I’m not sure why but this coupe rides more smoothy then the sedan I drove in early 2012 and feels much more poised in the corners. There’s a good amount of grip and the steering, while nice and light in traffic (BMW switched to an electric power steering rack for the new models) is well-weighted during spirited driving. The little coupe feels very planted and I never felt like I was going to lose my grip on the wheel in the 428i. I guess despite my blind love for the ATS sedan, I can say that the ATS coupe has a tough little hill to climb against the 428i. That said, the brakes feel a bit soft and could use less nosedive. 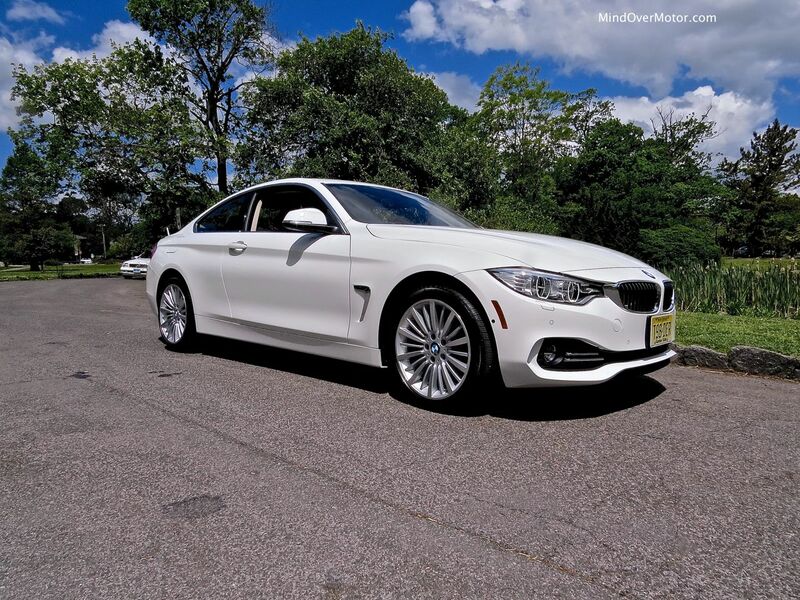 I really wanted to find something to hate about this BMW 428i. Luckily, all I had to do was look in the trunk to find the window sticker. The retail price on this particular car was a mind-boggling $56,000, which includes 16 grand’s worth of options. While the options included are all very enticing, this is a car that I’d go after without the technology package and a few others to bring the price under 50 grand–anything over that is territory for the larger-engined model. All that said, for the money paid, this is a great car to lease or to wait a few years and pick up with a warranty. Trunk space is decent for a coupe, and while the rear seats have enough room for a few teenagers, any self-respecting adult should really sit up front, as rear-seat access in and of itself is a pain. All-in, I enjoyed my experience in the 428i. 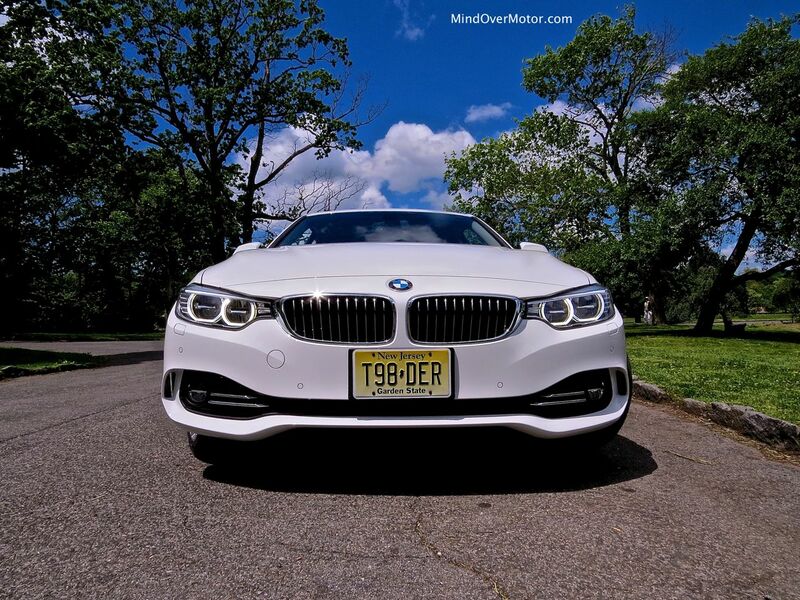 When I first checked out the new BMW sports sedan, I was very much disappointed and didn’t really enjoy my time in the 328i sedan given to me for the day. Consider the coupe, however, if the sedan is sour to you–it’s a solidly better car than its four-door counterpart and despite the increase in price is worth the extra few Benjamins. If I were to be buying one of these new, I’d stick to a shorter options list and probably get a color other than white to spruce things up a bit, but this is a very good car and has made me like the new 4 Series more than the 3. In the end, I was pleasantly surprised with the 428i coupe. When one considers its competition, the Audi A5 and Infiniti Q60 coupe, this is the newest one on the market and the only one available with a fuel-efficient turbo four and rear-wheel-drive, an enticing combination despite the high pricetag. Previous PostKoenigsegg Agera R at NYIAS 2014Next PostThe Hellcat Challenger is here! Fathers, hide your daughters.